Thank-you for this valuable information, we will look into it and concentrate case by case. (1) “Operator” means, as used in reference to a vehicle, a person who drives or has physical control of a vehicle. (B) excludes a lienholder and a lessee whose lease is not intended as security. (3) “Pedestrian” means a person on foot. (4) “Person” means an individual, firm, partnership, association, or corporation. (5) “School crossing guard” means a responsible person who is at least 18 years of age and is designated by a local authority to direct traffic in a school crossing zone for the protection of children going to or leaving a school. Acts 1995, 74th Leg., ch. 165, Sec. 1, eff. Sept. 1, 1995. Amended by Acts 1997, 75th Leg., ch. 165, Sec. 30.103, eff. Sept. 1, 1997. (1) “Department” means the Department of Public Safety acting directly or through its authorized officers and agents. (2) “Director” means the public safety director. (B) a school district created under the laws of this state only when it is designating school crossing guards for schools operated by the district. (4) “Police officer” means an officer authorized to direct traffic or arrest persons who violate traffic regulations. (5) “State” has the meaning assigned by Section 311.005, Government Code, and includes a province of Canada. (1) “Visually impaired” has the meaning assigned by Section 91.002, Human Resources Code. (f) If conduct constituting an offense under this section also constitutes an offense under another section of this code or the Penal Code, the actor may be prosecuted under either section or both sections. Acts 2009, 81st Leg., R.S., Ch. 1272, Sec. 2, eff. September 1, 2009. Sec. 600.004. TRAINING OF SCHOOL CROSSING GUARD. 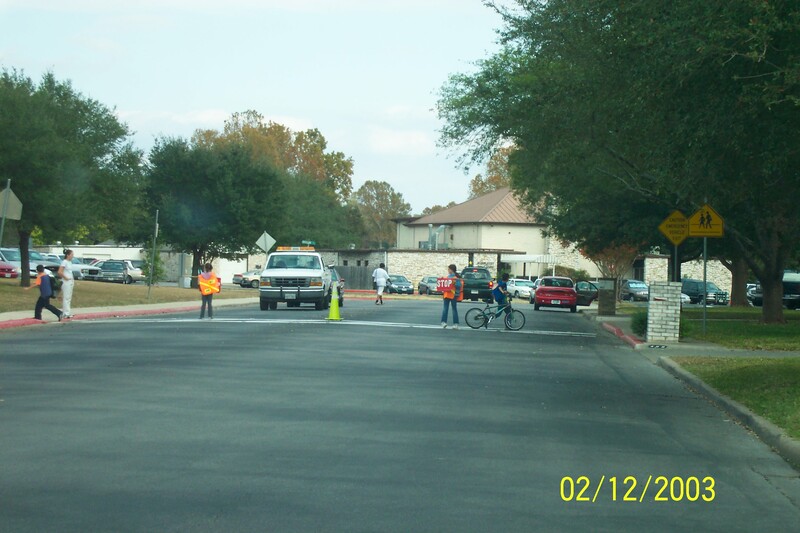 (a) A local authority may authorize a school crossing guard to direct traffic in a school crossing zone if the guard successfully completes a training program in traffic direction as defined by the basic peace officer course curriculum established by the Commission on Law Enforcement Standards and Education. (2) may not carry a weapon while directing traffic in a school crossing zone. Added by Acts 1999, 76th Leg., ch. 724, Sec. 2, eff. Aug. 30, 1999. B. Student control of only pedestrians with student patrols. American Automobile Association, 1000 AAA Drive, Heathrow, FL 32746). AAA Drive, Heathrow, FL 32746). has shown that adequate gaps need to be created (see Section 7A.03), and where authorized by law. 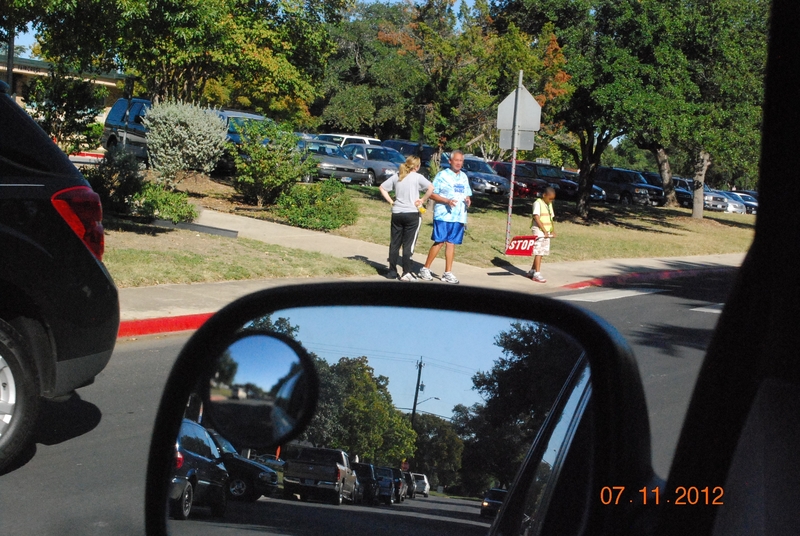 High standards for selection of adult crossing guards are essential. G. Sense of responsibility for the safety of students. standard performance for Class 2 as described in Section 6E.02. shape of the STOP paddle. E. A series of white lights forming the shapes of the letters in the legend. 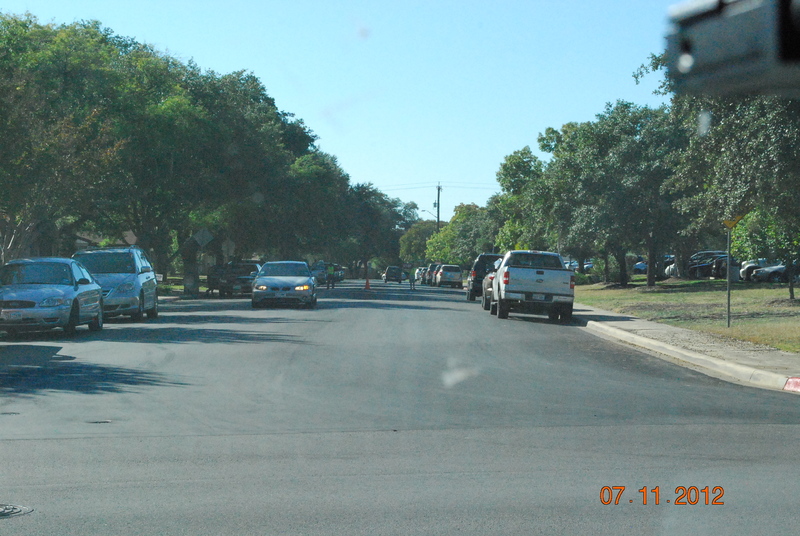 in traffic occur frequently enough so that gaps do not need to be created. pedestrians at crossing locations used by large numbers of pedestrians. uniformed law enforcement officers or adult crossing guards. Student patrols should be carefully selected. They should be students from the fifth grade or higher. Leadership and reliability should be determining qualities for patrol membership. Parental approval should be obtained in writing before a student is used as a member of a student patrol. should allow them to cross only when there is an adequate gap in traffic. Flagging devices used during periods of twilight or darkness shall be retroreflective or illuminated. This entry was posted in North East ISD, Windcrest TX and tagged Unsafe-and-Unlawful by Anthony Jr. Bookmark the permalink.